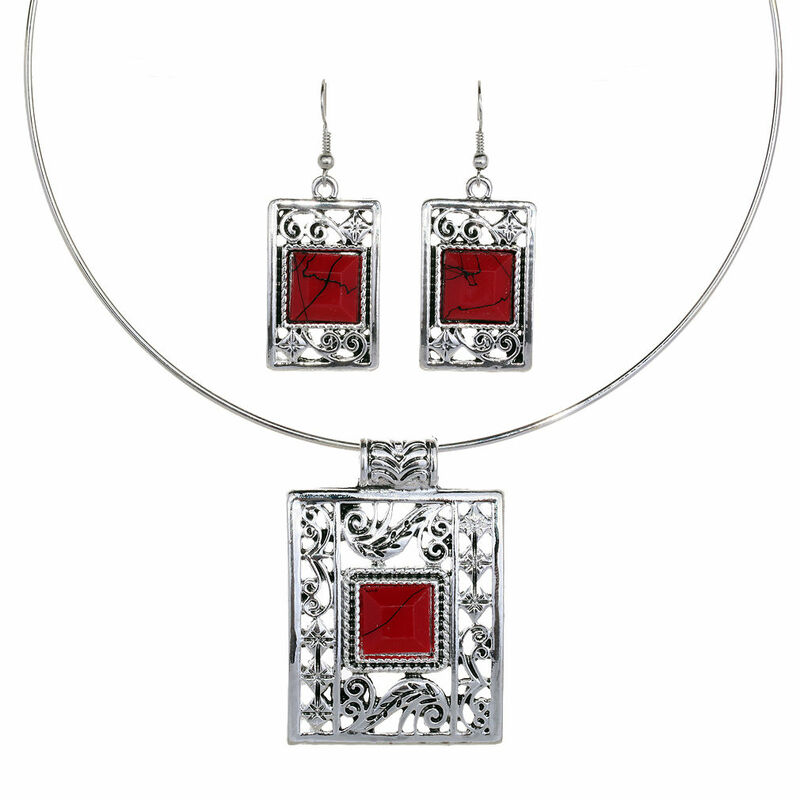 Ideal for any occasion, this Emmy Boho Necklace Set features red stones and filigree design to capture attention from afar. Matching drop earrings. Add style to any outfit with this stunning necklace set, buy now!